We spoke to one of the members in the QA team, Adam Chester, who was recently promoted to Senior QA Engineer. We wanted to find out a little more about his time at Outplay and how he is finding his new role. Can you tell us a little about your journey in the industry until now and your role at Outplay? I studied Computer Arts at Abertay University and joined Outplay as a QA Engineer after graduating. I quickly found that I really enjoyed working in QA and the various challenges the role entails. How does your role play an important part of the game development process, for both new and existing titles? QA is a vital part of game development and is especially important in free-to-play service games which rely on a consistent level of quality and user-experience to remain competitive. We ensure that our new games live up to Outlay’s standards, and that our existing titles continue to be updated with quality content and that our service infrastructure is stable and reliable. At Outplay we place great emphasis on releasing high-quality products so there’s a lot of support throughout the company for the work that we do. What’s been your favorite moment of working in the industry/Outplay so far? Seeing a new feature which has had a lot of time and effort dedicated to it reach the hands of players is always really satisfying. How did you develop during your time at Outplay into your current role? Working in QA has been a great opportunity to learn from others across each discipline of development as you see each individual component come together and over time you really get to know the product you’re working on down to the fine details. Throughout my time at Outplay I’ve had a lot of support in terms of personal development and have been encouraged to constantly develop and improve on our processes, tools and best practices. I’ve mostly focused on developing my programming skills, learning various scripting languages and putting this to use creating and improving on testing tools. One of the best parts about my current role as a Senior QA Engineer is working with shared tech and DevOps. This is a relatively new direction for the company to have embedded QA in these teams. Do you have any advice for anyone already working in QA, or looking to enter the industry? 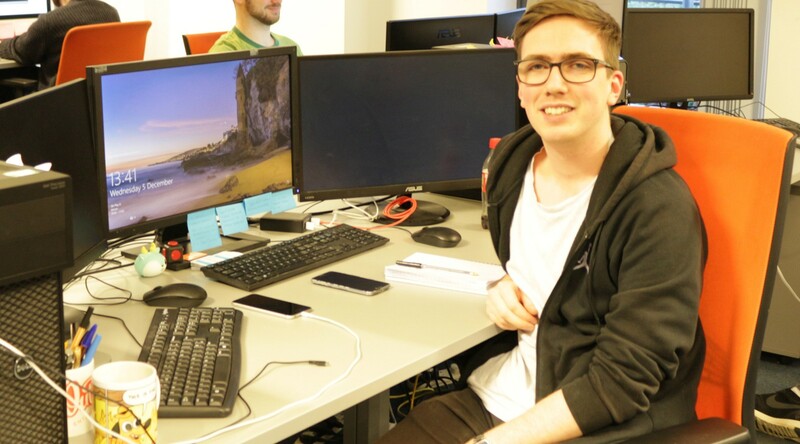 I would encourage anyone considering a career in game development to start out in QA because it is such a great learning experience and opportunity to experience game development across all disciplines. Bear in mind that whatever discipline you’ve trained in, it’s never too late to develop new skills. This is a fast-moving and competitive industry, so continuous professional development is particularly important.